Ribbons of colour as far as the eye can see. That is what you see when you drive along tulip fields in bloom the sight of a lifetime! 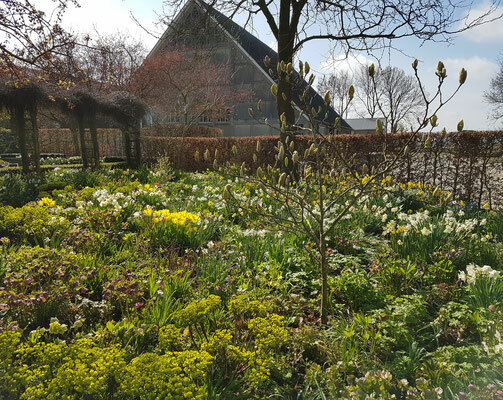 Private gardens with imaginative and varied bulb displays provide insight into the wonderfully diverse world of Dutch horticulture. 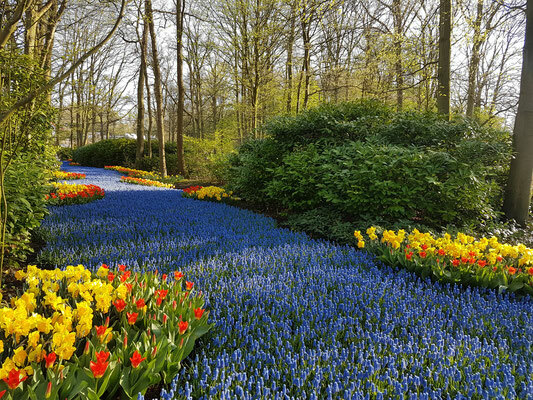 The world-famous Keukenhof where 20 Million bulbs are planted every year is an unforgettable must-see. 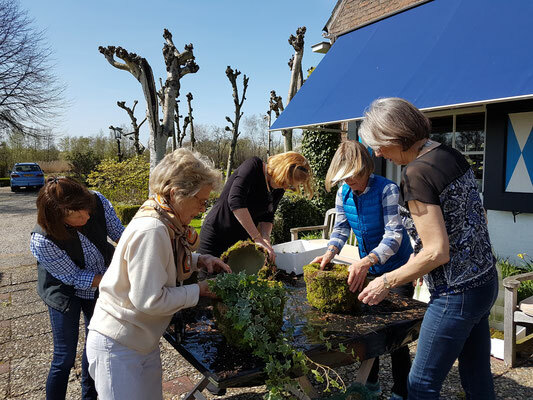 We also visit the largest wholesale flower market in the world in Aalsmeer as well as Amsterdam's secret gardens. We round off the tulip theme with a flower arranging workshop. Based in the Nordoostpolder for two nights and Amsterdam for three nights. Mid-April to early May. I first wanted to thank you for a fantastic week in the Netherlands. You have impeccable taste and are extremely organized. I really don’t think the trip could have been better! Our trip to Holland was nothing short of superb! I have heard nothing but raves since we're back. Thank you for all of your thoughtful planning and care in seeing to it that everyone thoroughly enjoyed. 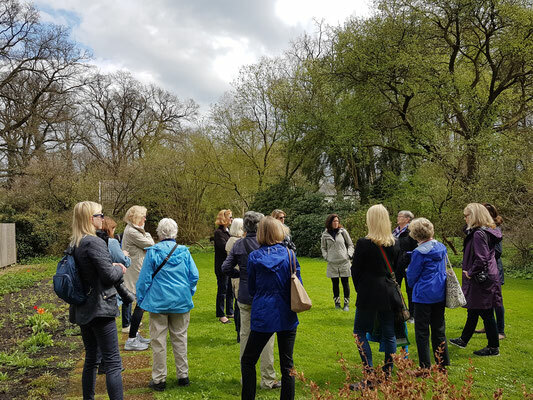 It was a first class trip - we saw amazing gardens, dined on delicious food and wine and were totally charmed by the Dutch and their incredibly warm hospitality. We meet in the morning at Amsterdam airport, board our private bus and drive to our hotel near Apeldoorn for early checkin and lunch. 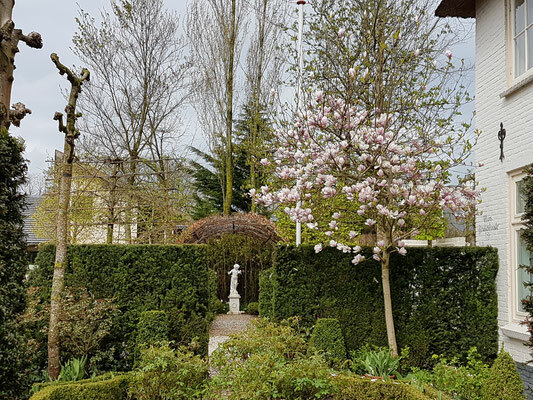 In the afternoon, we visit Het Loo Palace Gardens , one of Europe’s finest formal gardens, sometimes referred to as the Versailles of the Netherlands. We continue to the Kröller-Müller Museum, home to the second-largest collection of Van Gogh paintings in the world (after the Van Gogh Museum in Amsterdam). We begin the day at the Mien Ruys Gardens. 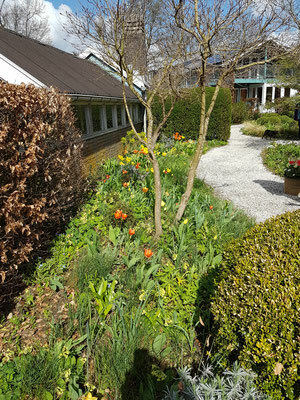 A seminal force in post-war continental garden design, Mien Ruys was the inspiration for the new Dutch wave gardeners Piet Oudolf and Hank Gerritsen. Her experimental gardens are a trove of ideas for planting schemes and design. 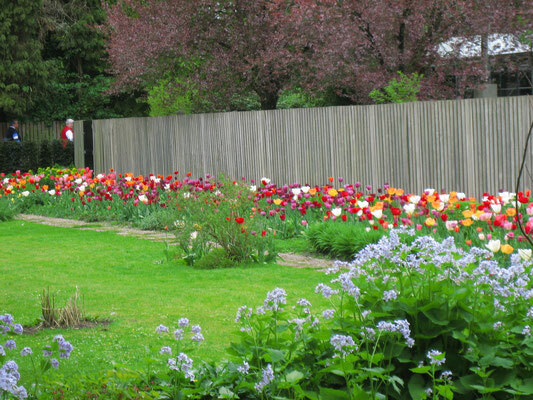 We also visit 3 private gardens showcasing beautiful seasonal bulb displays. 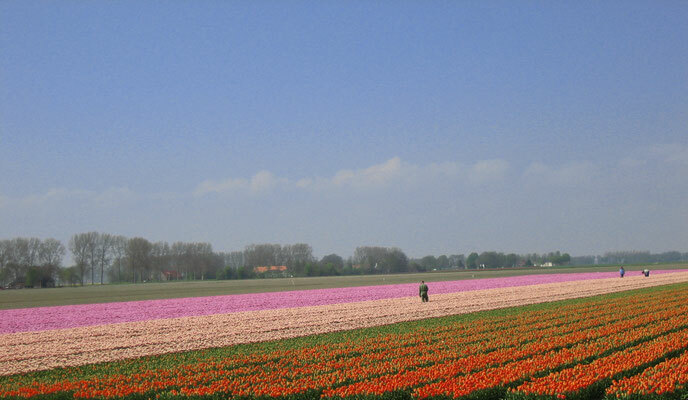 Today we travel to Amsterdam, driving along the bulb route, lined with tulip fields. 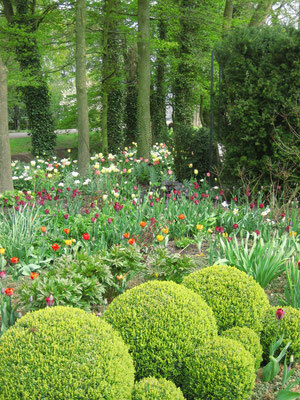 We visit 2 private gardens on the way, all with spectacular bulb plantings. We reach Amsterdam in the late afternoon, settle into our hotel and start the evening with a private cocktail cruise in a beautiful old-fashioned boat on the canals of Amsterdam.